A jutted tooth can be impossible to hide when smiling or talking. If a protruding tooth has you feeling self-conscious every time you smile or open your mouth, treatment for a jutted tooth can help. 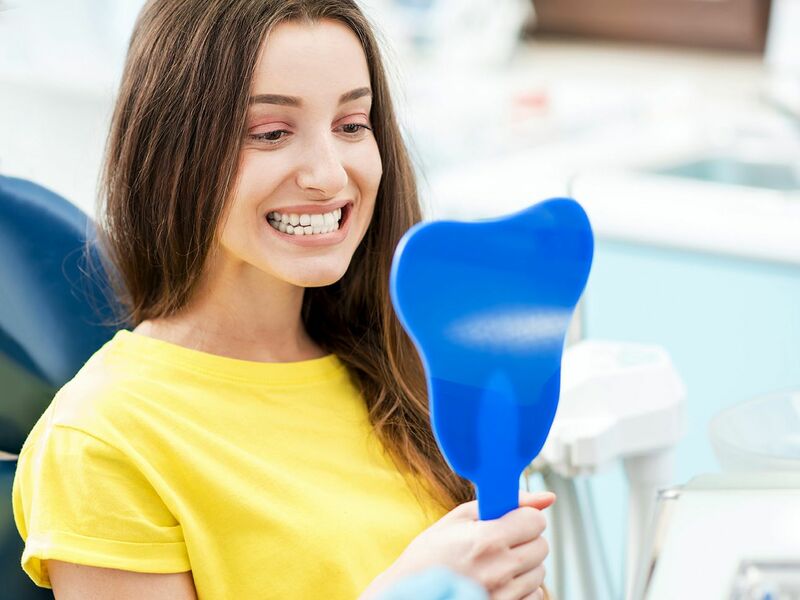 Our team at Smile Solutions by Emmi Dental Associates offers a variety of cosmetic dentistry treatments to improve the appearance of jutted teeth and enhance the smile. To find out if treatment for a jutted tooth is right for you, contact our offices in Wilmington, DE. In many cases, jutted teeth are genetic in nature. Genetics may be responsible for overcrowding of the teeth, which can cause one or more teeth to jut forward. In other cases, genetics may affect the size of the jaw, causing the jaw to be undersized in relation to the teeth. This can also lead to overcrowding, and consequently jutted teeth. Genetics isn't the only cause of a jutted tooth. Some people may develop one or more jutted teeth as a result of a condition called tongue thrust. Tongue thrust is a disorder of the swallowing reflex that causes the tongue to push into the upper teeth instead of the roof of the mouth. If left untreated, this consistent pressure can cause the teeth to jut forward. Another possible cause of jutted teeth is thumb sucking, pacifier use, or bottle use long after the age of two. Regularly sucking on a pacifier, bottle, or the thumb for years after the teeth have erupted can lead to alignment issues, affect the growth of the mouth, and cause one or more teeth to jut forward. The best treatment for correcting a jutted tooth will vary according to the needs of each patient, including the extent a tooth protrudes forward, how many teeth protrude, and other oral health issues. Our dentists will work with you to determine which treatment is best suited to your needs. Porcelain veneers: When one or more teeth slightly jut forward, porcelain veneers may be a viable treatment option. Porcelain veneers treatment transforms the smile using thin, tooth-shaped shells. These fabrications are bonded to the front surface of the teeth to correct minor dental flaws and enhance the overall appearance of the smile. Orthodontics: Orthodontic treatment can improve the alignment of mild to severely jutted teeth. Traditional braces are highly effective at repositioning the teeth and bringing protruding teeth into proper alignment. Those with less severely jutted teeth may benefit from Invisalign® orthodontics for discreet treatment of their alignment issues. Oral surgery: In some cases, treatment with porcelain veneers or orthodontics may not be sufficient to correct severely jutted teeth. For these patients, oral surgery may be the best course of action. Oral surgery can be used to adjust the jawbone and correct the position of jutted teeth. In serious cases, orthodontic treatment may be recommended after oral surgery to fully correct the alignment of the teeth. For more information about treatment for a jutted tooth, or to discuss your treatment options, we invite you to schedule a consultation today. Why did my dentist miss the decay on my tooth if I come in twice a year? Why does my tooth hurt after my crown? It never hurt before. Should I trust my dentist? Evidence based dentistry. How do I know I really need a filling or have a cavity? Is my Dentist telling me the truth? Who should I believe?